1.0.1 Recently Released Admit Card – Download Here!! 1.0.2 Upcoming Admit Card Status!! jobs related Latest Admit Cards/hall tickets are attached from this main web portal. Check in a convenient way and find the Admit Card link with a short spMaharashtra Soil Dept Admit Card 2019an of time. Latest Admit Cards & Upcoming Hall Ticket Official links are updated here at this platform. Most of the Aspirants At present Applying for Various Jobs Notifications every year. Jobs include a variety Of Categories like IBPS, PSC, State Exams, Entrance Exams, and another type. The exam may be of Competitive or Government those call letters will be available here before specify the time of Exam Date. For all that Applied ones we are providing the Admit Card or Hall Tickets which are necessary for taking the test. Because It is necessary for aspirants to find the Exam Venue and Time and without this Officials won’t allow to the Exam. Admit Card works as proof for applied aspirants as applied persons for the Exam where it contains all details. 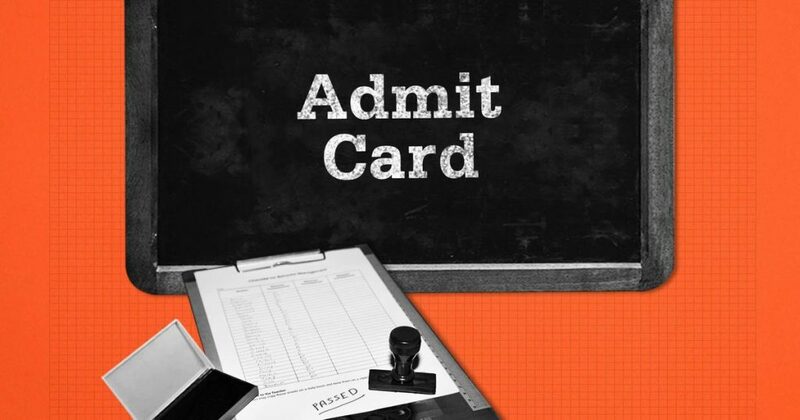 Recently Released Admit Card – Download Here!! National Institute of Advanced Studies in Architecture (NIASA) NATA Admit Card 2019 01 April 2019 First Exam: April 14, 2019.Second Exam: July 7, 2019. All States Exam Schedule along with Call Letters will be updated regularly any type of Exams. Not only Released Admit Cards, Here Aspirants also can get the upcoming Exam Details and Schedule and when they are going to release and conduct the exam etc. Keep on visiting this official website Jobschat.in for getting applying Jobs and also to download the avae exam Admit Cards. According to Conducting Board, Aspirants need to provide the data for taking this Admit Card. Not only For Jobs Admit Card we also provide the Entrance Exams, Schooling Exams like SSC Inter and other Board Exams hall tickets are also available here. Jobschat.in provides Exam Call Letter link, along with downloading steps for in addition to that. Just aspirants need to find the Exam Name along with Post name here. Aspirants no need to check another site for any Admit Card. So, keep on checking this site regularly and take this applied exam Admit card without chaos and take the test happily.